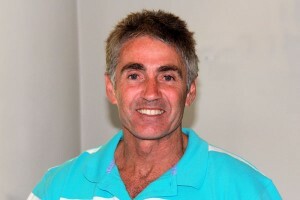 The newly formed Australian Karting Association Board has elected five-time World motorcycle champion Mick Doohan as its first Chair to guide the sport of Karting in Australia. The entire Karting community stands to benefit from Mick’s incredible experience in motor sport and business as well as his passion and desire to improve karting for competitors, their families and supporters. “Mick has a unique understanding of the needs and challenges facing all participants in Karting from kids starting out right through to international competitors,” said Phil Smith, AKA Board member and keen karting competitor. Doohan also brings a commercial perspective to the AKA having sat on the Board of Rally Australia and worked closely with the Board of the Australian Grand Prix Corporation to help promote the Australian Moto GP and Formula One Grand Prix. He was also on an advisory committee with Dorna Sports, manager of the MotoGP Championship, and also General Manager of Racing for the Honda Racing Corporation. “Karting is the most accessible and important motorsport category for developing young drivers,” said Doohan. “As someone who came up through the ranks of Australian racing and as a parent of a young driver I know we can take Karting to the next level in Australia. The appointment was the first item of business for new AKA Board Members, Melissa Holzberger, Bradley Collins, Sam Moreton, Phil Smith and Doohan, who held their first official meeting in Sydney on Monday 10 June. Less bureaucracy and process wherever possible – it’s about more track time and less paperwork on race day. Strengthening links to the other motorsport governing bodies, particularly the Confederation of Australian Motor Sport (CAMS) and the Commission Internationale de Karting (CIK) to leverage the best partnerships, resources and support for karting and karters in Australia.